Here is my card for the Midnight Madness Sketch Challenge useing"priscillastyles" CHRISTMAS TREES DIGITAL STAMP SET as I somehow was able to merge to 3 trees and then colored with Copic Ciao. 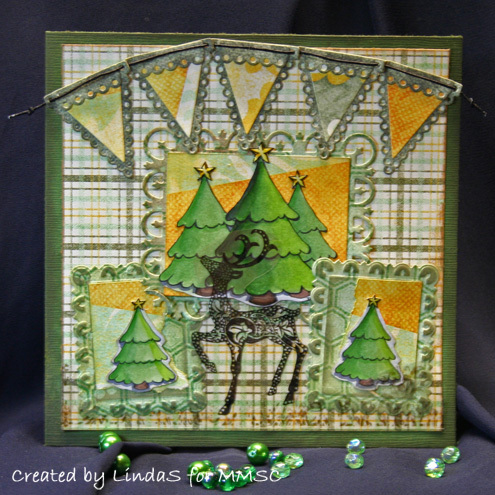 Other Stuff used: Reindeer Waltz/Layers of Colors. Banner Pennat Die Set/Whimsy Stamps. Spellbinders. 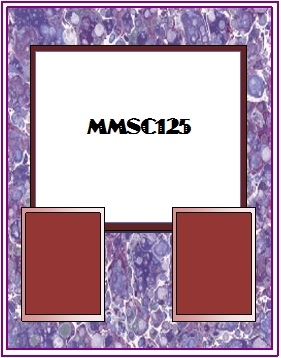 Our MMSC125 Weekly Bonus Sponsor is..
Stop by and check out all the new images!! GC redeemable for digis only! Due to circumstances beyond my control, there will be no monthly sponsor for Oct. Anything Goes Challenge Blog - #51 Die cuts/Punches or both. What a joyful layering of loveliness! What a super card! LOVE the pennants--and the trees are wonderfully colored! Just beautiful Linda! Love how you used the reindeer from LOC and great banner. Gorgeous card I love those trees and the banners. Thank you for joining us at Anything goes challenge blog this time. Cute card Linda! I love how the reindeer looks as though it is stamped right on top of the trees! Clever idea! Gorgeous!!! 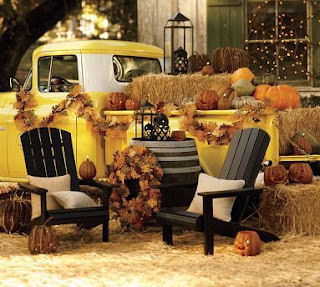 Love your colors and design, just completely lovely!!! 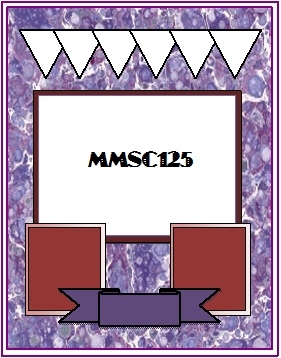 Thanks for taking part in this weeks Make My Monday challenge and good luck. Beautiful!! Love the deer and your banner. Thanks for joining Stampin Sisters in Christ this week!! Oh how pretty is this! Love the deer frolicking among the pretty trees! Linda this is really beautiful! Hvor er det et dejligt flot julekort. Og selv mange tak for sidst. Det er et flot julekort. What a great card. Thanks for joining in over on Make My Monday. Lovely card!! Thank you so much for playing along with us at The Pink Elephant! !